Unfortunately, most of the time when we hear about the actions of NFL players off the field, the news is negative. The sad truth is that if an NFL player does something newsworthy in his personal life, it's tends to be about fighting, drinking and driving, racial slurs or worse. That's what makes the story you are about to hear especially heartwarming and refreshing. 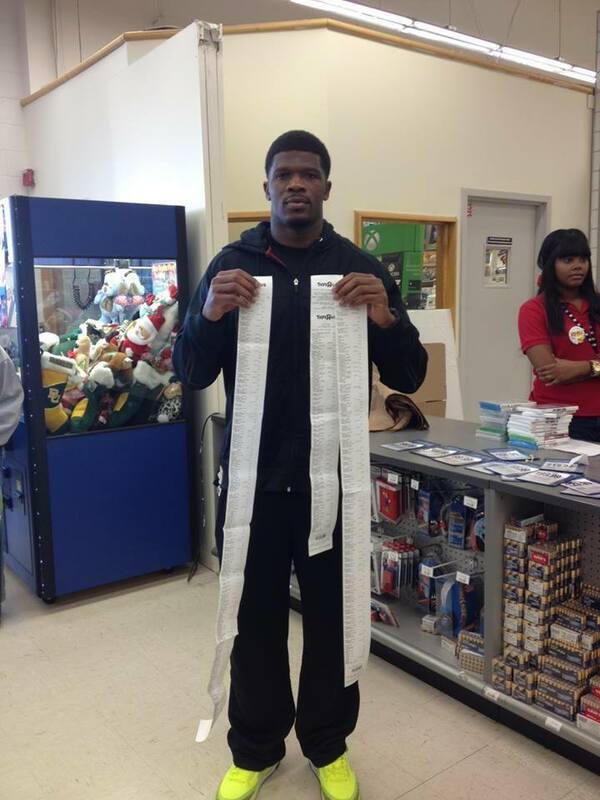 Yesterday, Houston Texans wide receiver Andre Johnson performed an absolutely amazing Christmas miracle. For the seventh year in a row, Johnson invited a group of at-risk children and their siblings from Houston area child protective services to take a trip with him to their local Toys "R" Us. While at the store, Johnson gave the kids 80 seconds (in reference to his jersey number) to fill up a shoping cart with any toys that they could grab. The kids were teamed up with a Texans cheerleader who helped them navigate the store and pick out all the best goodies. Each kid was also guaranteed an entertainment system of their choice plus two games. For the eighth year in a row, Houston wide receiver Andre Johnson has performed a Christmas miracle for local underprivileged kids.